Hey all to my second ‘Tasting’ segment on the blog. 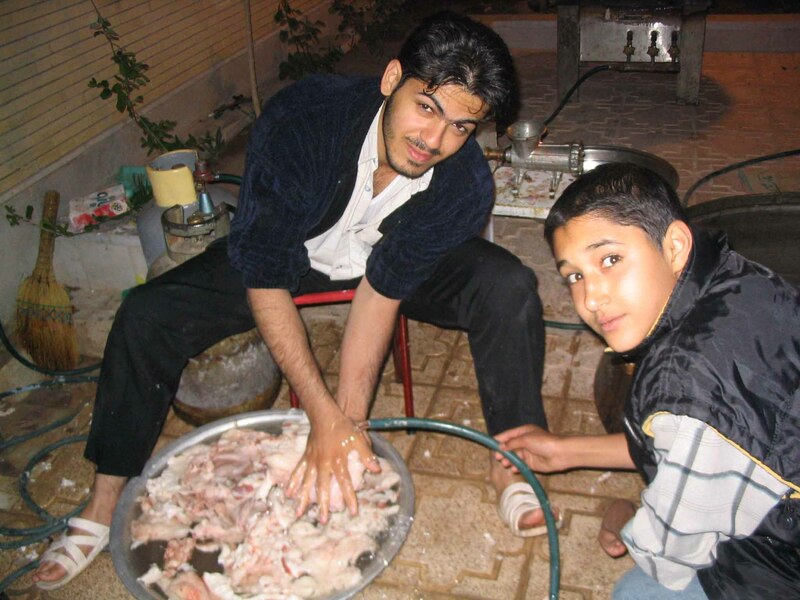 Today I want to talk about a dish, rather than a restaurant, which I had the pleasure of eating when I was in Iran. A good chance to point out that the plan is not for every week to be a restaurant review! I recall a spelling like Aubgoosht, but Abgoost seems to be the more common spelling used today on the interwebs. I found Persian (Iranian) food much to my liking when I was there, many moons ago now, probably because I found it quite ‘meat-based’. Abgoost is stew, perhaps not so remarkable. Common ingredients are lamb, potatoes, chickpeas, onions and loads of different beans. Also, from what I saw, they like to throw a lot of the animal skin into the pot (chicken), and they like to make it in bulk. 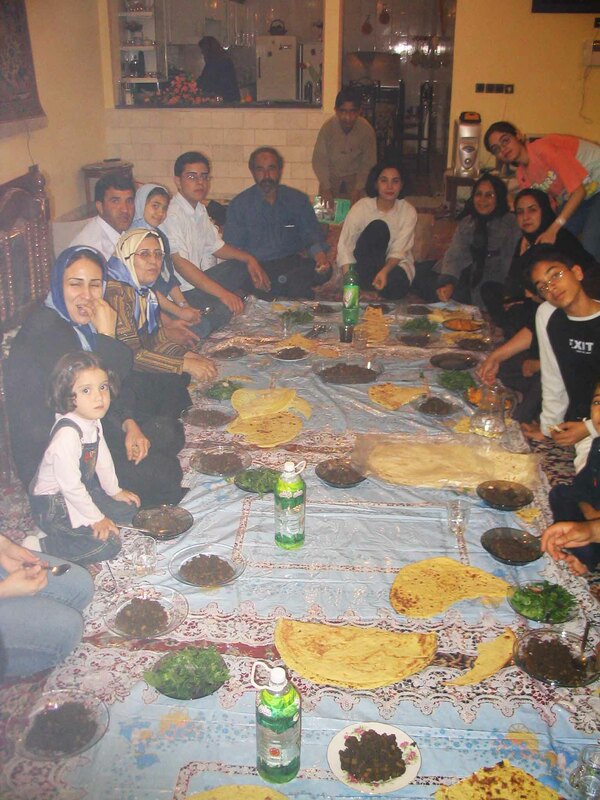 In fact, it was quite the family event when I travelled to Kerman in mid-April, albeit 15 years ago now. 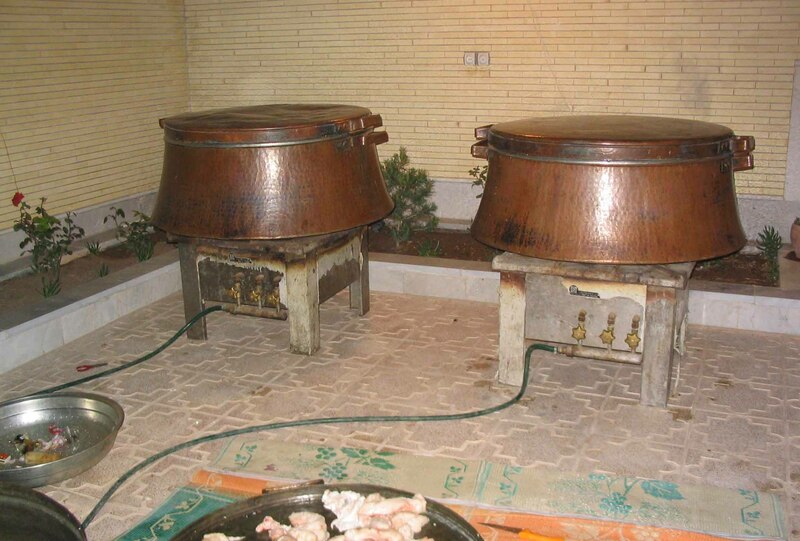 Two HUGE pots – I mean you could fit a person in them – filled with the ingredients and slow cooked for around a day I think. Some stood outside and stirred, whilst others, including myself were inside peeling and cutting up vegetables, in particular potatoes. A lot of spices go in as well – turmeric for example. The taste – well, it was full of rich but not at all spicy flavour, I really liked it. It was cooked by the family I was staying with at a certain time of year, and much of it was actually taken to the poor. Which I understood was the custom of that time of year (remembering that the Islamic calendar changes each year I guess, with slightly shorter years than the Roman Calendar). It was also given to all branches of the family and would have lasted at least a week (that is we were still eating it a week later). The whole process was perhaps the most interesting part. 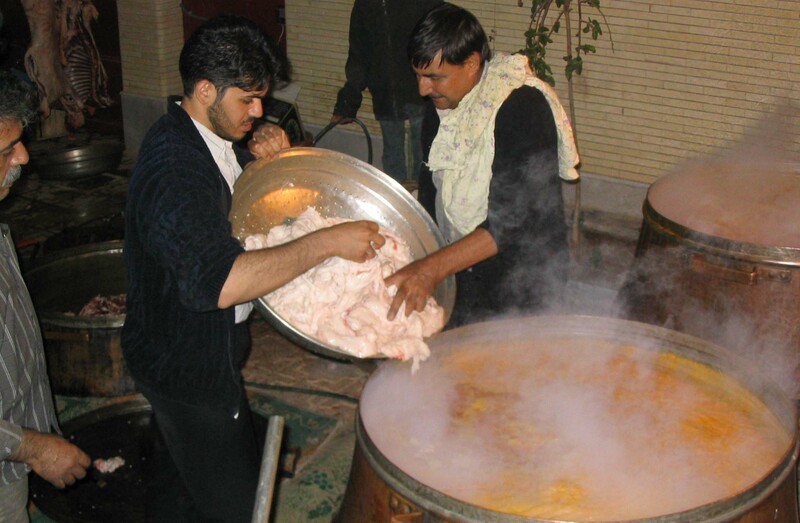 I’ve seen a number of recipes and ‘how tos’ online, but none really capture the experience I had, which was a real highlight of travelling Iran. It’s eaten with bread, and I recommend trying some if you’re in Iran, you can find it at restaurants too and at other times of the year. The workshop atmosphere of everyone coming together and contributing to this dish though is ultimately what made it so special. It’s not really the sort of tradition I have ever experienced at home. Perhaps you have? Please do comment below! 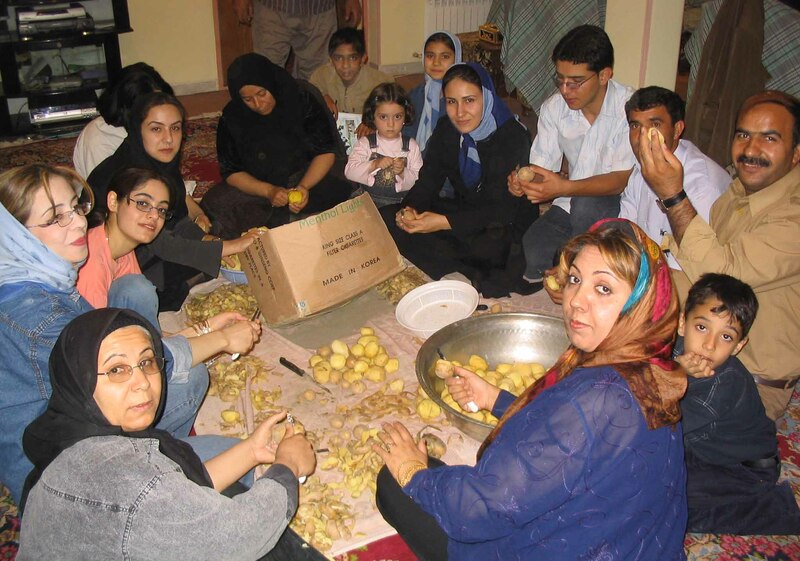 All-in-all, Abgoost is THE one thing I remember eating whilst in Iran, which surely makes it pretty special! Thanks for reading – and May the Tasting Never End! old ones! I was so thin then! Those were the days…. One of my favourite dishes in the world! 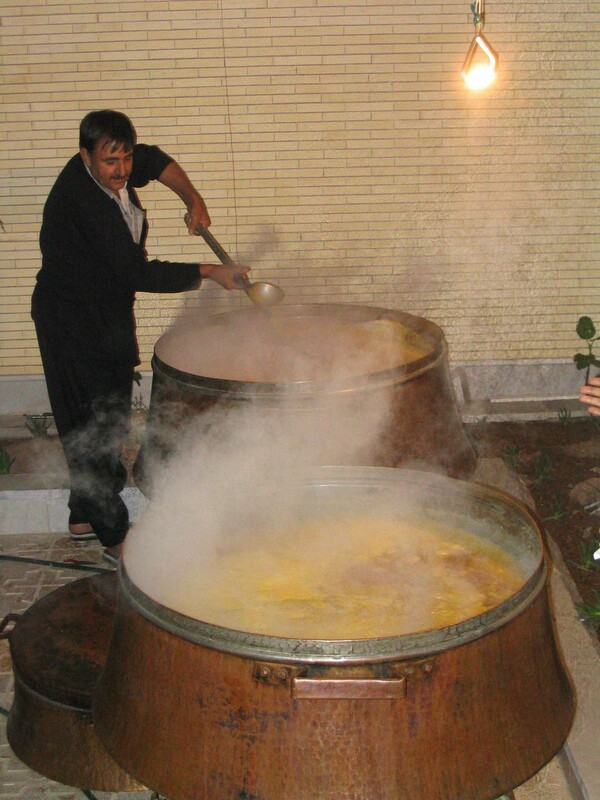 I love Abgoosht!